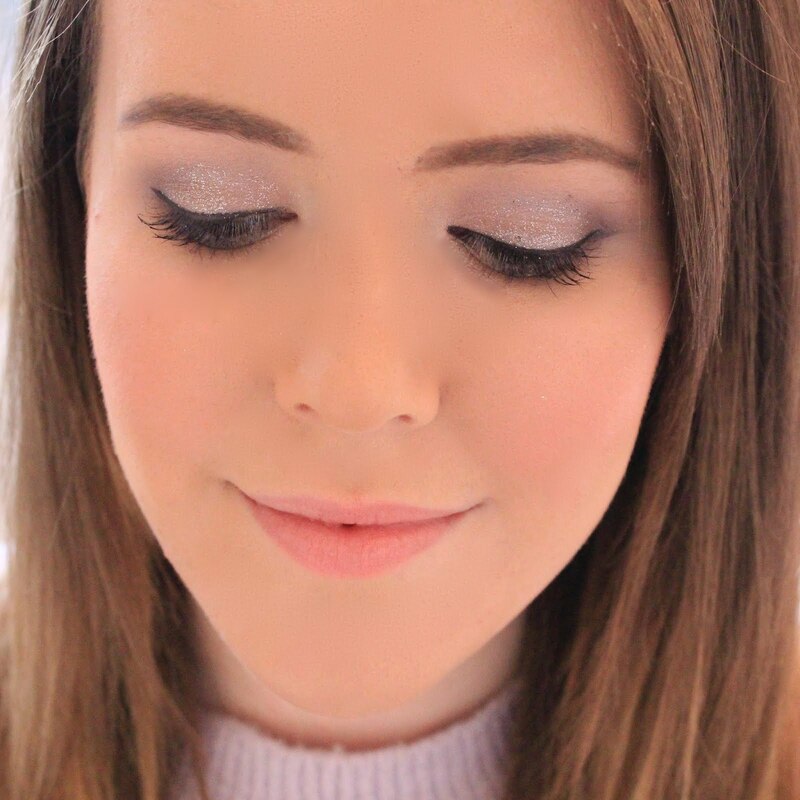 Hello Beauties and happy first of the month! 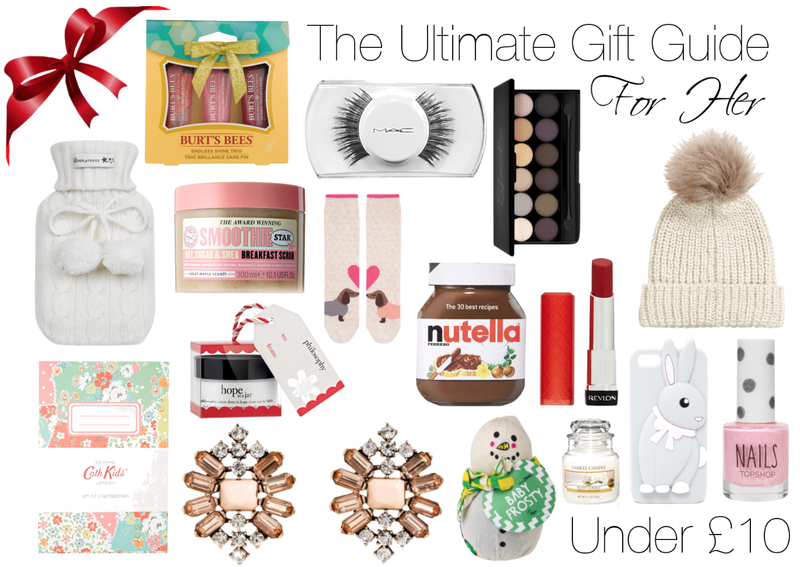 Now that it's officially December and most people are okay with the mention of the C word I thought I would share with you all my Ultimate Christmas Gift Guide For Her. I've decided to just do this for women this year as it took me forever and I'm absolutely terrible at choosing gifts for Men so really there would be no point! To make it easier for you all and to cater for most budgets, I've split it up into prices. Below each image is a list of the products featured, their price and a link to where you can purchase. I hope this helps you out whether you're just looking for inspiration, wanting to treat yourself or trying to find the perfect gift for the ladies in your life! Lots of Love and Happy Christmas Shopping! 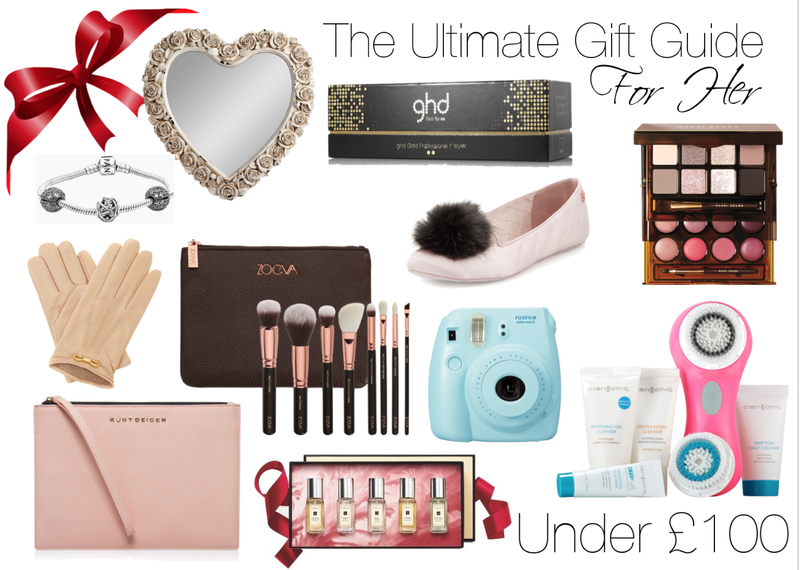 Lovely gift guide, love all the items you chose! oh my god I need the sausage dog socks!! 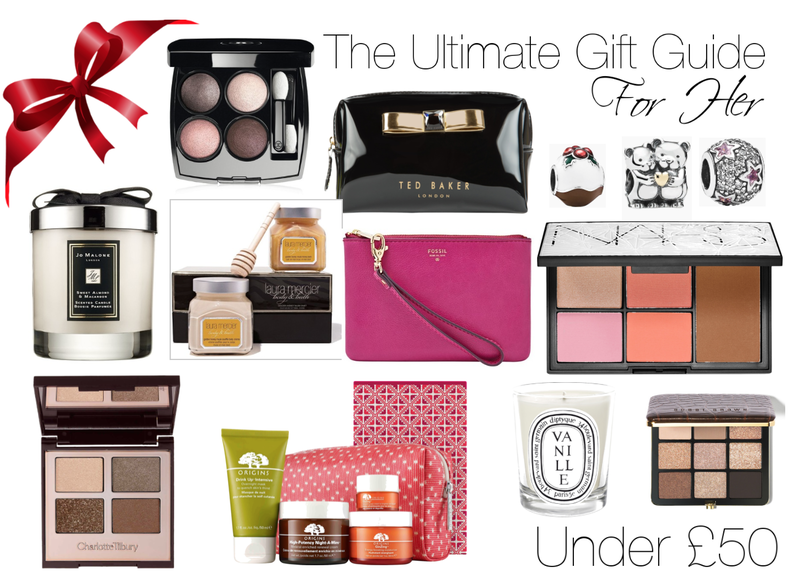 Such a lovely gift guide! Given me lots and lots of inspiration! Everything you picked out is so spot on and there isn't one thing here I wouldn't love to receive!